When the average person thinks of blankets, materials such as cotton and linen usually come to mind, and although these can be very comfortable, they are not necessarily the most environmentally friendly, hygienic or even durable choices available. If you’re on the fence about switching to bamboo bedding, consider the following eye-opening benefits and how they can improve your sleeps. 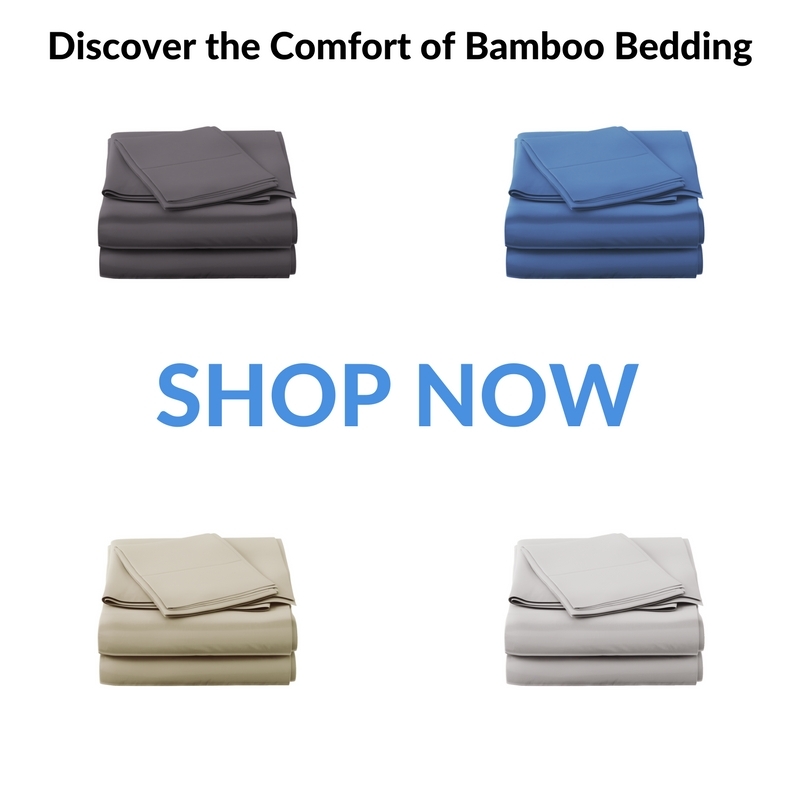 If you compare a bamboo blanket to a cotton blanket, you will find that bamboo is without a doubt much stronger. Bamboo is very powerful as a raw material. 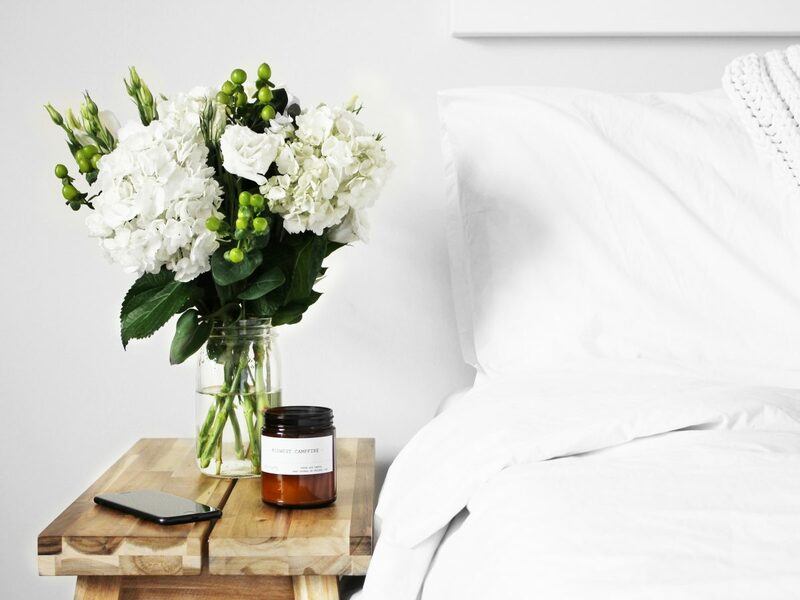 This ingredient works well when fibers are spun into fabric and used to create beautiful sheets, duvet covers, comforters and other ecofriendly nighttime accessories. In many cases, bamboo will last 3 times longer than similar cotton products. They also won’t lose their appealing softness, even after many washes, believe it or not, they actually get softer. 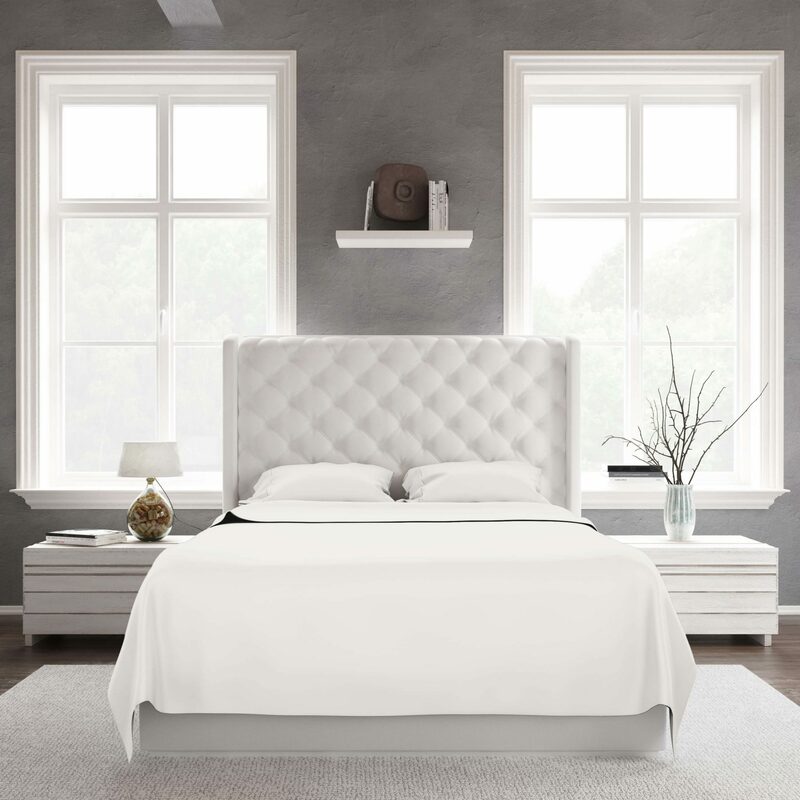 Furthermore, white bamboo sheets will actually stay white and not turn grey or yellow! We love using bamboo as a raw material in our sheets. As durable as bamboo is, it can actually be woven into one of the most soft, comfortable fabrics on earth. Did you know that bamboo is one of the fastest growing natural resources on the planet (it can grow up to one yard per day). While bamboo uses only 12 gallons of water to produce one pound of fabric, cotton requires over 200 times more. Another argument for using bamboo is that it does not require replanting after harvesting because its vast root network continually sprouts new stems. The roots pull in sunlight and greenhouse gases and convert them into new green growth. 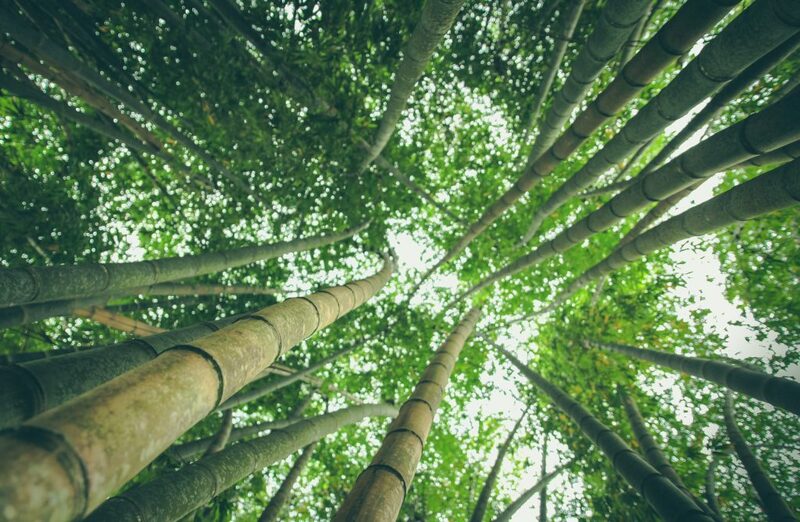 Bamboo grows without the the need for petroleum-guzzling tractors and poisonous pesticides and fertilizers and in fact when Japan’s Hiroshima was bombed, Bamboo was the first plant to grow back, bringing green back to the land. Compare this with using traditional cotton. Pesticides and fertilizers are used in the production of cotton with 25% of the world’s pesticides and 7% of the world’s fertilizers coming from cotton. Cotton is the largest use of water among all agricultural commodities, exhausts the soil and furthers climate change. It can take 2,700 liters to produce the cotton needed to make a single bed sheet and World WildLife (an international non-governmental organization founded in 1961, working in the field of the wilderness preservation, and the reduction of humanity’s footprint on the environment) contends that current cotton production methods are environmentally unsustainable. Bamboo sheets and other kinds of bamboo bedding tend to be extremely soft and smooth. Depending on how the fibers are spun, the material can feel more like silk or fine cashmere. This texture is produced by the bamboo fiber’s round shape. Discerning sleepers will also appreciate bamboo’s versatility. It is warm like flannel yet retains the breath-ability of synthetic fabrics like Lycra. This sounds contradictory, but it actually allows your bamboo pillow case or comforter to adjust to your body’s temperature needs. On a daily basis, we spend hours in our beds, so naturally we are going to leave unseen things behind. Germs and bacteria can thrive in the warmth of your cozy mattress and pillows. The environment in your bed is made even more inviting when moisture is produced through sweat from your body. Switching to bamboo sheets is a good way to prevent this situation. Bamboo naturally contains antibacterial and anti-fungal properties that eliminate the need for pesticides. When spun into fibers, this same effect will work whether you’re using a bamboo comforter, pillow case or duvet cover. A study performed by Shanghai Tenbro Bamboo Textile LTD revealed that after 50 industrial washes, fabric that was made of 100% bamboo was more than 70% effective in fending off live bacteria placed on it. Bamboo sheets are stain resistant. This is a good thing considering how long the material usually lasts. Not only will your bedding stay comfortable and in tact, it is also less likely to start to look worn out or aged due to staining. The best part is that this quality occurs naturally so no chemicals are added to achieve this effect. You also won’t need to use any bleach or harsh detergents to keep your bamboo bedding pristine. Certain conditions can make it difficult for some people to get comfortable while they sleep. Some of the most common causes are pregnancy, menopause and night sweats. Hot flashes and being pregnant can make it very hard to sleep and although bamboo sheets won’t stop the symptoms, they will accommodate them thanks to the material’s insulating and breathable qualities. People who suffer from night sweats desire thermal regulating qualities of bamboo sheets. Being able to stay dry and comfortable, is definitely a priority. The same characteristics that give bamboo fabric its absorbency, also gives it its amazing wicking capabilities. One of the most important benefits of switching to bamboo sheets and pillow cases is the material’s sustainability. Unlike other fabrics, bamboo fibers can be made without negatively impacting the environment. Bamboo self-irrigates which means it does not consume as much water as crops like cotton. It also produces more oxygen than many other trees and can help reduce carbon dioxide levels. Bamboo sheets rank high among the most earth-friendly bedding available today.